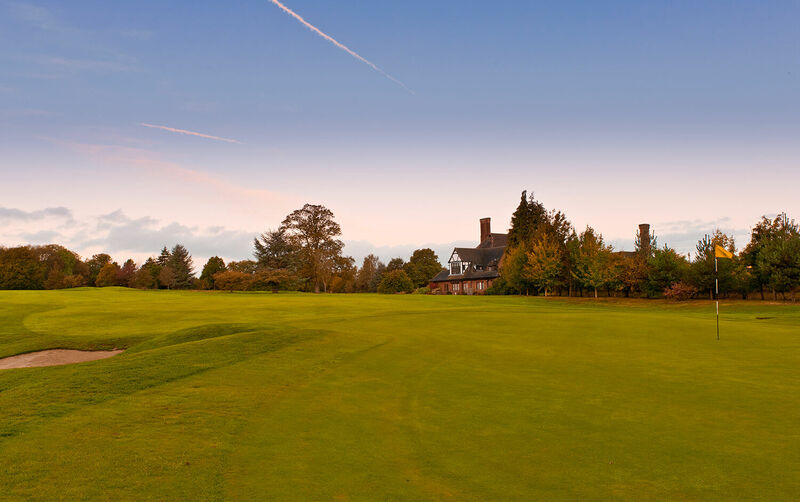 Newsletter Template :: Beaconsfield is a traditional Members club with a classic Harry Colt designed course that opened in 1914. The course is beautifully presented and complemented by excellent practice facilities. Visitors are welcome by prior appointment. My year as Captain of this wonderful club has finally arrived. It is such an honour to be elected as Captain and I will try and live up to your expectations. Thank you to all those who supported me at the Captain’s drive in and for coming to the lunch afterwards. As always David Jennings' attention to detail and the food and service were exceptional. Congratulations to Doug Wilson who won the bottle of Champagne. Needless to say he has not shared it with me or any of his friends. Doug and I played together in the bi-annual match against Rye last weekend. Not only did we win but neither of us fell over this time. There may also be some good news for Chris Dodds. Doug is a good golfer and would never want to be outdriven and immediately after the round went to see Chris about a set of the new Taylormade woods and irons. I played in the Bogey’s Bowl which was well attended as always and very well organised by Peter Cox, Alan Ruxton and David Heeley. The competition was won by Nigel Young playing off 13 handicap and scoring 45 points. Some comments were made that he did not look old enough and he may have to bring along his birth certificate next time. Turning to the coming year, I am looking forward to working with the new President Graham Puttergill, the vice-captain David Booker and all the members of the board. We are fortunate that the Club is in great shape. 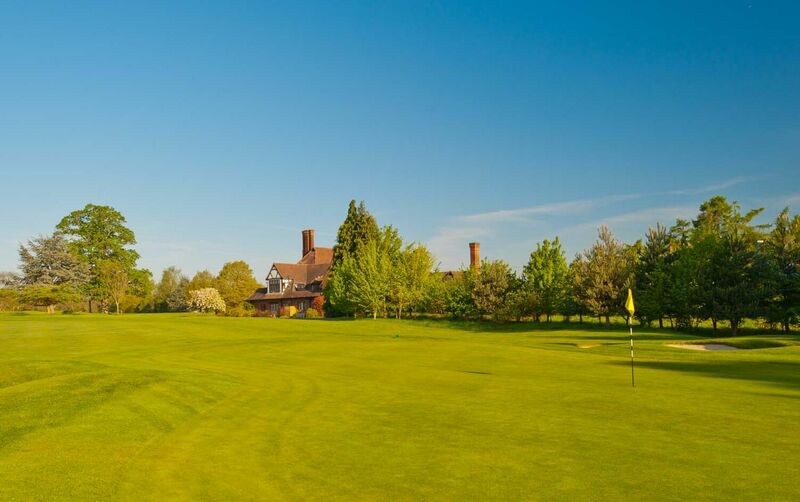 We have a superb well kept golf course, an expertly run clubhouse and have two very capable pros. Our finances are in robust health, we have a very active and vibrant membership and a good waiting list. This has not come about by accident and we owe so much to our past presidents and captains. I don’t believe in change for change sake. I don’t see any need to make my mark or leave a legacy. Like all entities we should look forward and strive for continuous improvement. We should continue to attract and retain younger members and find a way of maintaining contact with good younger members who have had to cease their membership to devote all their energies in building careers and raising a family. We should continue to improve our golf for the greater enjoyment of this lovely game on a first class golf course. Finally my nominated charity is again Scannappeal. The current aim is to purchase the two latest generation scanners for High Wycombe and Amersham hospitals to diagnose all types of heart disease and save many lives. What a wonderful way to start my year as Captain being able to offer many congratulations to the Beaconsfield ladies team who had such a convincing win at the annual Harewood Downs Jamboree. Christine Watson, Berly Brown, Carole Weir, Jackie Thompson, Heather Jackson and Karen Platt were 16 shots ahead of the home team who came in second, a fantastic result. I hope everyone in the ladies section has a most enjoyable and successful golfing year and I would particularly like to welcome all those who have recently joined the club. I have chosen Thames Valley Air Ambulance as my charity for this year. They are a local charity providing life-saving medical care across Berkshire, Oxfordshire and Buckinghamshire. They are called out two to three times a day to help people in our area who are in a life-threatening situation and require urgent, high-quality medical treatment. 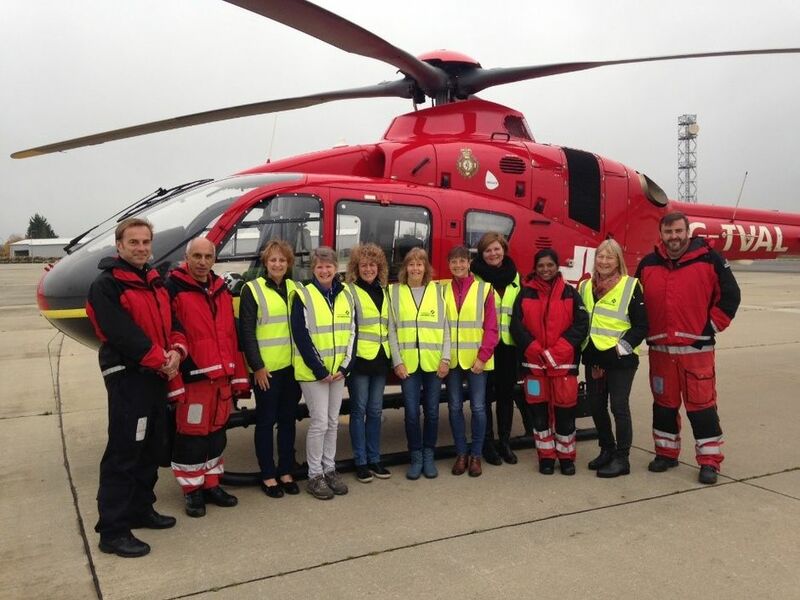 TVAA receive no Government funding and are not supported by the National Lottery so our support will go towards helping them to keep flying night and day, 365 days a year so they can deliver their unique life-saving service to patients where and when it is most needed. Some of the ladies committee visiting the TVAA team at RAF Benson. The team attends many different types of incidents but the majority of call outs are for road traffic accidents. Your generosity in supporting this vital service during my year as Captain will be hugely appreciated. Thank you all for the welcome extended during my first 3 weeks – my first impressions are of a really committed and dedicated team who look after the Club and I am really looking forward to continuing the progress made both on and off the course. I really do appreciate all comments and suggestions and please drop into the office (I know we are a bit tucked away!) any time or email me. One of my first responsibilities will be to assist in the annual ‘Handicap Review’ which I plan to hold in December. If anyone has a request for an adjustment, upwards or downwards, please send me an email – chrisgotla@beaconsfieldgolfclub.co.uk – or indeed a suggestion for someone else of course. A reminder also that we have over 180 members who currently have a ‘non competition’ handicap and you are asked to submit appropriate cards (3 in year required) before the end of 2018. If in doubt of your status or what you have to do (9 hole cards acceptable) please contact the office. The course is in excellent condition but just a reminder that at this time of the year the greens become softer and almost every shot makes a pitchmark so please be vigilant and always repair! I look forward to meeting many more of you in the coming months. The season is almost over for the juniors with just two more stableford competitions on Saturday 11th November and Saturday 9th December. It has been another very successful year for the juniors, with many of them halving their handicaps during the season. We wish to thank Chris Dodds and Adam Hinkins for providing the junior lessons during the school holidays, which have obviously had great effect! We would like to congratulate Tim Whittaker and Mandy Bartholomew for their year as Club Captain and Ladies’ Captain and to thank them both for the support they have given to the Junior Section and the Committee this year. 2017 has been a great year and we hope that both of you, can look back with many happy memories. We welcome Patrick Byrne and Jane Garmon-Jones as our new Captain and Ladies’ Captain and look forward to working with them both next year. In the September edition, we reported that our Junior Team had won their Regional Final at Essendon, which meant they qualified for the England Semi-Finals of the Junior Team Golf Championships. This event was held on Saturday 7th October at Nevill GC, Tunbridge Wells where they competed for a place in the Final. The weather suddenly changed that weekend and it was bitterly cold, wet and very windy, but our Team of Kian Bains, Ben Quick, James Casserly, James Butler, Bradley Hucker & George Johnson, battled their way around the course and managed to finish in a very respectable third place. This was a great achievement considering the strength of the opposing teams and they all performed exceptionally well. The West Sussex Captain who was officiating, commended our boys on their impeccable behaviour on the golf course, so they should be very proud and they are a credit to our Club. I would like to say a special ‘thank-you’ to their parents, Ian Casserly, Rob Quick and Matt Johnson for driving and supporting them throughout the day. Another great achievement, was when our juniors managed to beat the seniors in their annual match. This was held on Wednesday 25th October and it was the last match of the year. Bradley Hucker was match Captain and he had two new members who played in their first match, so well done to Ben Suter and Oliver Okhuijsen. It was a lovely sunny afternoon and everyone enjoyed their games. Special thanks again to the senior members, for giving their time to support the juniors, which they all appreciate. At the time of writing, we are looking forward to the Junior Annual Meeting on Sunday 5th November, when all the 2017 prize-winners, will be presented with their trophies. Spencer Pearson, who has been an exceptional Junior Captain this year, is now enjoying life at Guildford University, but he will be reflecting on his special and very successful year, during the afternoon. James Butler will become the new Junior Captain and his Vice-Captain will be Ben Quick. We congratulate them both and wish them the very best of luck for next year. Not long to go before Christmas and the New Year, so have a great time and don’t forget to make a new year’s resolution - maybe a goal to practice more often and reduce your handicap by several shots? The greens are showing great signs of recovery from the recent installation of the PCD rope drainage. The main greens are being cut at a height of 5mm with the ride on triples and the newly drained greens at 6mm and being cut with the walk mowers. There are some small areas of heave after the works which will require some hand coring and sanding over the next 2 weeks but once completed the cutting heights will become uniform across the course. During the first week of November the greens will be verti drained with a ½ inch tine to a depth of 7 inches followed by a smaller spike with a ¼ inch tine in a different direction to close the larger holes. This will help aerate the soil and relieve compaction from all the recent foot and machinery traffic. During November the main focus for the team will be leaf clearance across the course, taking place 7 days a week until they’ve all fallen. Work is due to start this month on the next phase of the ‘green’ tee course. A contractor will be on site between the 13th-24th November with a large verti-drain to spike the fairways, driving range and generally worn areas around the course. It doesn't seem too long ago we were saying the season was coming to an end with a stunning Tour Championship where Justin Thomas picked up his $10 million fedex cup bonus but we are now back and the season has started again. The WGC HSBC Championship in Shanghai was the latest tournament and certainly brought a strong field with the likes of Mickelson, Keopka, Stenson, Rose and Dustin Johnson who on the second day shot an impressive -9, 63 with his new Taylormade P730 irons in the bag. We also saw the return of Tiger Woods after his latest setback and thoughts around the world are saying that this time his "new" swing could see him compete again in tournaments. What do Beaconsfield members think? Does he have another title in him? Could he beat the Majors record?? Mizuno and Taylormade have both had demo days in the past weeks. 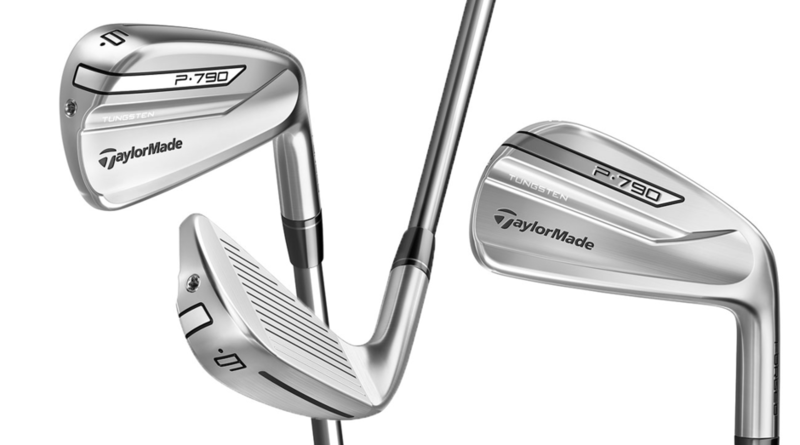 Mizuno showing off their new MP18 range which we must say is beautiful whilst Taylormade once again didn't cease to amaze us with its new P790 range seen below. This is the iron that has all the feel and look of a blade but the forgiveness of a game improving cavity. It is stunning and the results on the day were so good that people didn't want to stop hitting them. If interested in either then please do remember that custom fits can be done by Chris or Adam in the comfort of our studio even though the weather might be cold and wet outside. This leads us on to the simulator: if you want to use this for practise or play with friends or by yourself then please remember this can be done with a booking made in the professional shop. The winter is soon going to be upon us and this facility gives us a great place to practice, have lessons and play whilst the weather is miserable. If evening sessions are of interest to you then please let us know as Chris and Adam are open to starting up an evening session of lessons on a certain day within the week. The latest in Underarmour and Footjoy clothing is now all in stock and on display for the men, whilst S.O.S is for the ladies. Ecco have released two new Goretex shoes which we have stock of and can get if you need other sizes. Glenbrae BGC Club sweaters are available in lots of colours and if we don't have those in stock then please ask to be shown a brochure from which orders can be made. "If you fail to prepare, you are preparing to fail." A phrase I think we are all aware of and have heard. However the more we are heading out on the course with clients, the more we see that pre shot routine is either non existent or not helping you achieve your shot. The pre shot routine is something that in golf we are gifted with... an opportunity to rehearse what we are just about to try and do. So please spend a little more time on it, focus on the job in the hand and hopefully the end product and delivery will be better. We should certainly see better results!! Some sad news to report, Chris Davis, our locker room attendant from 2004 till 2016, has passed away after a battle with lung cancer. A private service took place last week. We will remember Chris very fondly. Posters and details for all the festive events have been emailed to members and are now on the main notice board. The first event is The Turkey Trot on Saturday 2nd December . The Children’s Christmas Party is on Saturday 9th December at 3.30pm. The first Christmas Lunch is on Sunday 10th December with the second Christmas Lunch on Sunday 17th December. All of these events are very popular, so if you would like to attend any of them please sign up promptly. If you cannot make it to the club we are very happy to put your name down. You can email me at david.jennings@beaconsfieldgolfclub.co.uk or call the bar on 01494 681180. Looking forward to 2018, our ever popular Quiz Night is taking place on Saturday 3rd March. Please put this date in your diary as this event is always oversubscribed. An email with details of the Quiz Night will be sent to members in mid January. I look forward to seeing you in the clubhouse soon. We are now well into autumn and the leaves are falling every day. Although Stuart and his team work hard to get rid of fallen leaves, there are inevitably leaves on the course. If your ball is on the putting green and you cause your ball to move while you are removing a leaf, there is no penalty and the ball must be replaced. If your ball is NOT on the putting green and you cause your ball to move while removing a leaf you incur a penalty of one stroke and the ball must be replaced. If a leaf is adhering to your ball, it is NOT a loose impediment and may NOT be removed. If your ball is in a hazard, you cannot touch or move leaves in the same hazard unless you need to move the leaves in order to find or identify the ball. You may touch or move the leaves in order to find or identify the ball. If the ball is found or identified, then you must replace the leaves before playing, however if the ball was completely covered by leaves, you are permitted to leave a small part visible. There is one instance where a leaf is not only a Loose Impediment. This happened to Matthew Southgate on the Web.Com Tour in late September, and cost him a four-shot penalty. If a leaf is blown across the course and deflects your ball, then the leaf is an Outside Agency. If you play from the putting green and your ball in motion is deflected by a moving outside agency, then you MUST cancel your stroke and replay.